Over all it was a decent story with so much potential, but at times the dialog between hero and heroine was so flowery and over-the-top touchy feely that it kept throwing me from the story. Some of the worst dialog came from the hero, because no way was I going to believe that a tough, manly firefighter would occassionally start talking like he is hosting an Oprah episode on unresolved hurt feelings. Ugh. I also thought the heroines reclusive behavior was waaaay overdone, and her actions (meaning how she lived her life) never added up to a person who supposedly shied away from emotional relationships. In the beginning of the book I liked her, but by the end I wanted to slap some sense into her! 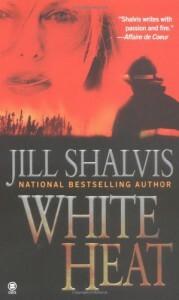 I loved the other two books in this firefighter series, but this one I personally would NOT recommend.